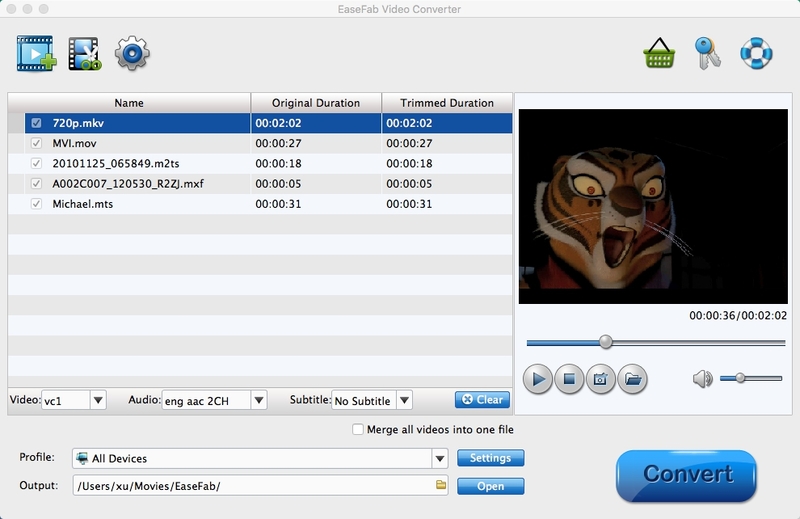 How to use EaseFab Video Converter for Mac? 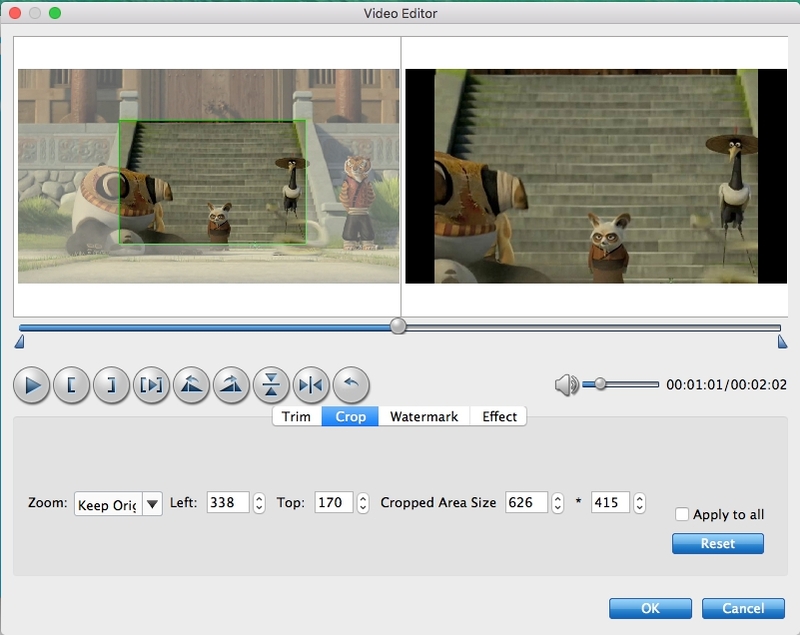 1) We have both Mac and Windows version for Video Converter. 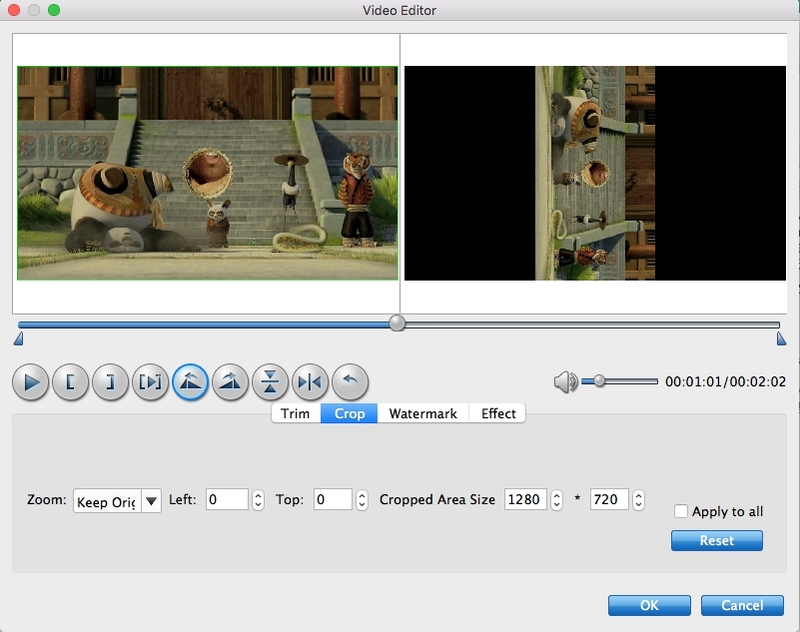 This is a simple quick-start guide on how to use EaseFab Video Converter for Mac. 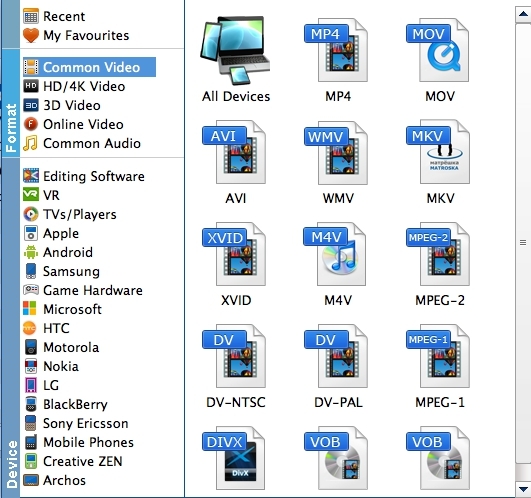 For the whole detailed guide on how to use Video Converter for Mac, you can take Video Converter Windows tutorial for reference. The Mac version has the same functions if there is no special remark. 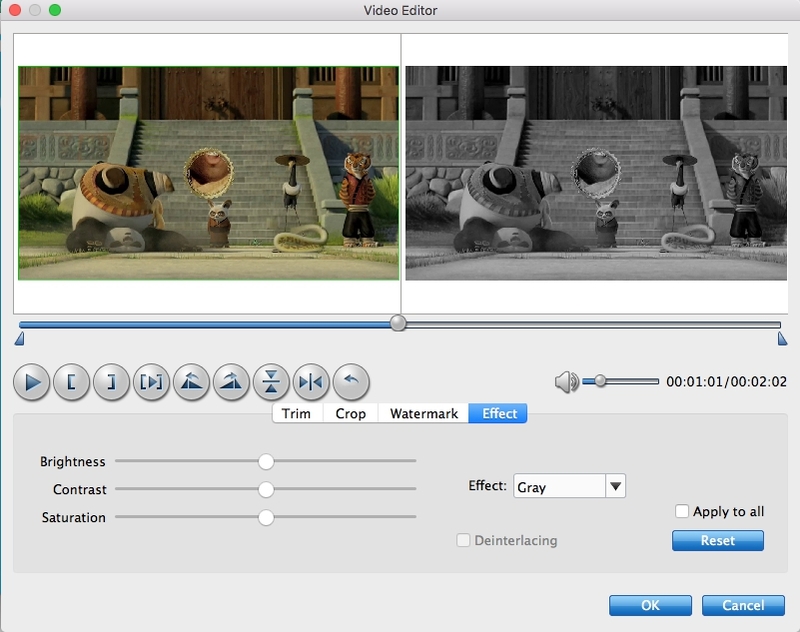 How to Convert Video and Audio Files on Mac? 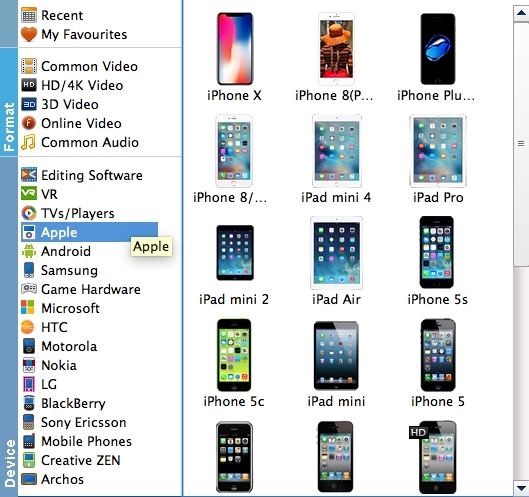 Drag the video files you want to convert to the video files list (Mac Video Converter supports batch conversion, so you can import multiple files at a time). You can also click the "Add Video" button to browse your Mac hard drive and add the video files you want to convert to the program. Click Profile (located below where your files are displayed) and select the format you want from the drop-down list. 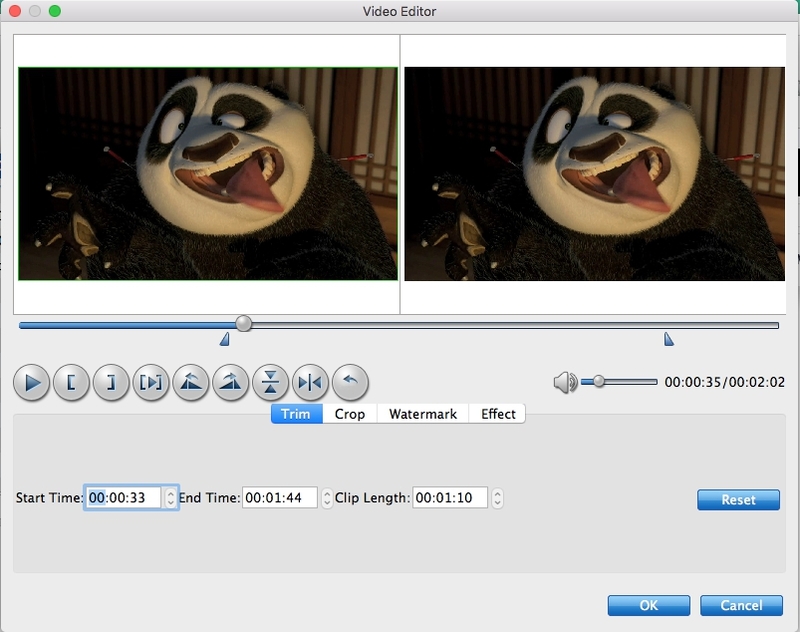 Just below Profile is Output, here you can browse your computer for a better destination folder for the Mac Video Converter to save your converted movies. As you see, all regular SD/HD and even UHD 4K video and audio formats like MP4, MOV, MKV, WMV, AVI, FLV, MP3, WMA, WAV, M4A, etc. are provided. Once you've selected the output file format you want, you're ready to convert. Simply click the big Convert button to let the software start converting your Blu-ray or DVD. 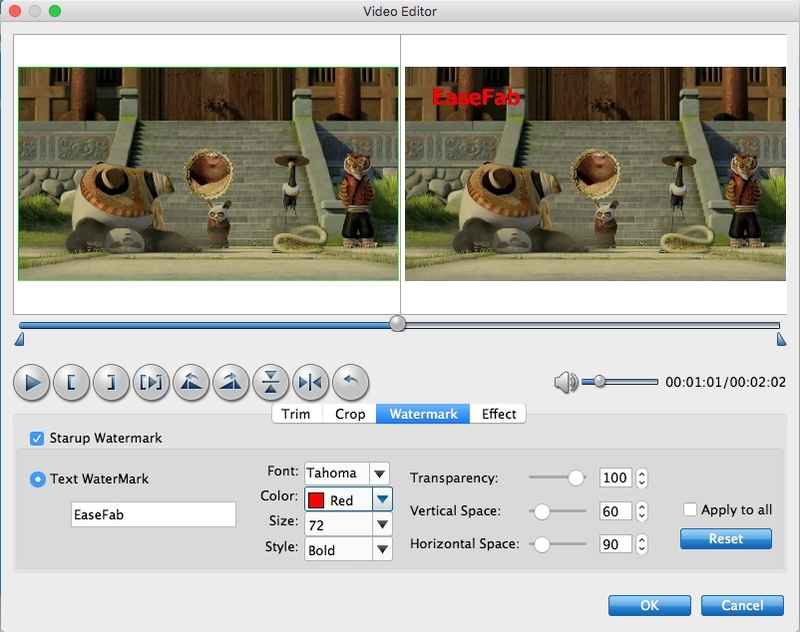 The encoding time depends on the quality and duration of the output movie. Wait for the conversion to be done and click Open to get the converted video files.